Don’t get us wrong: sometimes coffee is the answer, and we can’t deny its health benefits when used in moderation. Unfortunately, when used excessively, caffeine is associated with unpleasant side effects, including heart palpitations, insomnia, and indigestion. While there is no shortage of caffeinated drinks promising to amp up your energy and increase your focus, you should know that there are alternatives available. Although caffeine might offer a short-term solution for a lack of energy, it can actually make you feel more exhausted in the long-run. Reach for caffeine too often, and you might develop a dependence, needing increasing amounts to achieve the same effect. Additionally, while you may be treating the symptoms of fatigue, the underlying cause persists. Fatigue is comprised of a complicated and diverse set of symptoms with many possible causes, including poor sleep or nutrient deficiencies. 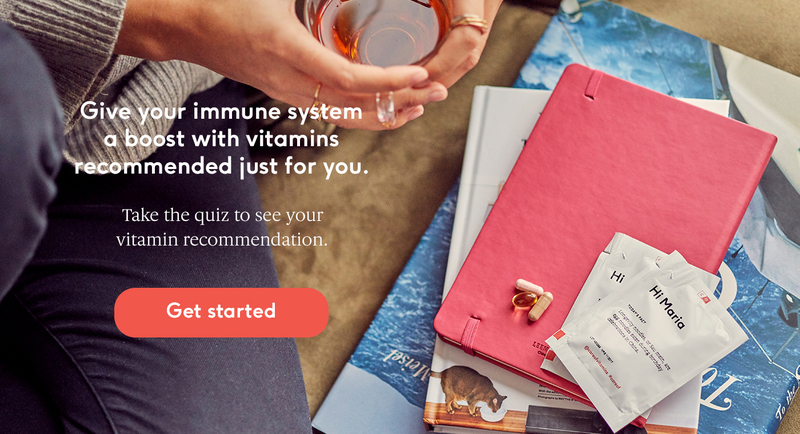 Identifying the reason you feel sluggish is the key to choosing what vitamins and supplements will help you feel more energized and motivated to achieve your health goals. Even if your coffee habit is under control, it is helpful to know that there are also vitamins and supplements that can help you feel more energized. Clinical research has shown that vitamins, minerals, and botanical supplements can offer an energy boost without the risk of dependence or side effects associated with caffeine. Here are the 6 best supplements to fight fatigue and increase energy. Vegetarians and vegans are likely to be low on vitamin B12, since it is most commonly found in fish, meat, eggs, dairy, and many fortified foods. Older adults, or people with digestive disorders like Crohn’s disease, are also at risk for a deficiency because they are less capable of absorbing the B12 they consume. If you are feeling fatigued, eating foods rich in vitamin B12 or taking a supplement might just improve your energy levels. CoQ10 is found in meat, particularly organ meats, as well fish and peanuts. While our bodies are capable of producing CoQ10, the ability to do so naturally diminishes with age, so it is worth considering taking a CoQ10 supplement, especially later in life. According to a 2012 study published by the National Institute of Health, magnesium has been shown to improve symptoms of insomnia. If difficulty falling asleep is contributing to your fatigue, a magnesium supplement may improve your sleep quality, and help you feel more rested. Meat and seafood are excellent sources of dietary iron. If you are vegetarian, then nuts, beans, lentils, spinach, and fortified grain products will be some of your go-to foods for iron. If necessary, iron supplements will help maintain proper levels of iron, but be mindful that iron supplements can cause severe side effects when taken in excess. Make sure to consult with your doctor before supplementing with iron. Iron is especially important for women who experience heavy menstrual cycles, or for pregnant women because of iron’s importance for fetal development. Wondering what adapotgens are? They're a group of botanical supplements that protect the body against the effects of physical and mental stress. To be considered "adaptogenic," an herb must be non-toxic, provide widespread physiological support, and help balance the body's processes. While this concept may feel new, the plant-based medicines it refers to, such as ginseng, have been used in traditional Chinese and Ayurvedic medicine for centuries. The best part? Recent clinical research is proving that these remedies have a real impact on health. Rhodiola, also known as Rhodiola rosea, is a botanical supplement that has been used in traditional medicine in Eastern Europe and Asia for centuries. Not only will it help you feel more alert and decrease stress, it can also improve your mood, according to clinical research. In a 2016 study from The Journal of Sports Medicine and Physical Fitness, rhodiola supplementation was shown to improve endurance while exercising, as well as assist in recovery afterwards. Rhodiola is a great choice if your exhaustion is related to intense activity. As the scientific research on rhodiola continues to emerge, it could become an increasingly popular tool for improving quality of life. Ashwagandha has been used for over 3,000 years and has a wide variety of names. This herb grows in the Mediterranean and across the middle east, Africa, India, and Pakistan. It has been praised in traditional Indian medicine for its ability to help the body adapt to stress. In a 2012 clinical trial, ashwagandha was shown to reduce blood levels of cortisol, which is known as the “stress hormone.” Participants in this study noted a significant reduction in the stress they experienced after 60 days, compared to the placebo group. If it is stress that has you feeling drained, consider ashwagandha. As an added bonus, recent studies have also suggested that ashwagandha can improve endurance and muscle strength gains from exercise. Additionally, ashwagandha was shown to reduce food cravings and support body weight management, in a 2017 study. Supplements can help you stay alert and energized throughout the day, but they’re no substitute for your body’s basic needs: getting adequate sleep, eating a healthy diet, staying hydrated, and exercising regularly. If you generally maintain a healthy lifestyle but still feel run down, one of these six vitamins and supplements may address the root cause your fatigue. Unlike some solutions that provide a temporary burst of energy, these supplements can set you up for long-term wellness. Additionally, they each provide offer unique benefits beyond increasing your energy. Before beginning to take supplements, consult with a physician or take an online lifestyle assessment that can provide personalized recommendations.